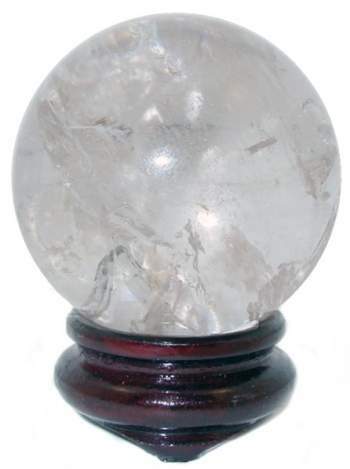 These Quartz Crystal spheres have excellent clarity with some fine veils, phantoms or rainbow inclusions and a fine polish. These hand picked 50mm or 2" Brazilian spheres come with a Walnut finish Oriental Stand. It's use magnifies the personal life force or Chi energy, which is at the core of being and returns one to natural healing rhythms of daily life. Meditating or tuning in to the crystal energy can cleanse and nourish the mind, emotions, and physical body.